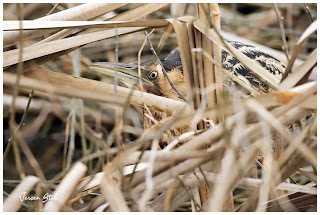 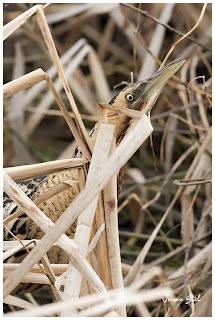 After driving past the reed bed several times i saw something moving in the reed bed and yes...there he was! 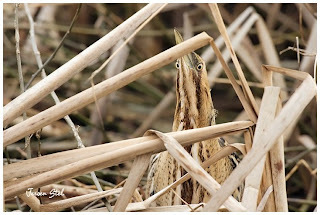 Once they notice your presence they do not run off but rely solely on their camouflage and raise their head to blend into their environment. 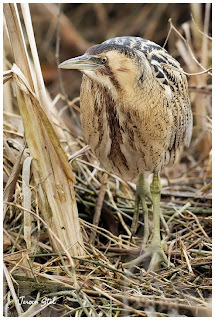 Their slow movement and stunning feather pattern makes them blen into their habitat perfectly.